Damn dead shot orcs refused to be taunted and instead focused on, and killed my companion. Was most annoying. I cannot get this to pop. I've tried going into the area, and I've waited for it to show up at my garrison. what am I missing? I've been waiting for this one to pop as a daily as well. What is strange is that there are 12 missions for the achievement, and the quartermaster sells 12 missives. However there is a missive for "Lost Veil Anzu" but its not part of the achievement, and the achievement lists "Assault on the Pit" for which there is no missive. Tricky Blizzard....any ideas? I have seen the pit quest on my druid but didn't realize that it's the one missive you can't purchase. I don't have a lot of extra resources on my druid so when flying hit I purchased all the missives on my mage and then burned through them last night.. only to be left with a single missing missive... THE PIT. Now I either have to wait for it to make it around in the quest from my garrison .. or scrounge up enough resources to purchase all of the missing missives I need to get the achievement on my druid. Blizzard you never cease to amaze me with your ability to make me hate even the things I love about this game. -Do all the assaults in a couple of hours. -Realize that the pit doesn't have a missive. PD:I'll edit this when i complete this thing to share about how many days took me to take this quest to appear on my Garrison. 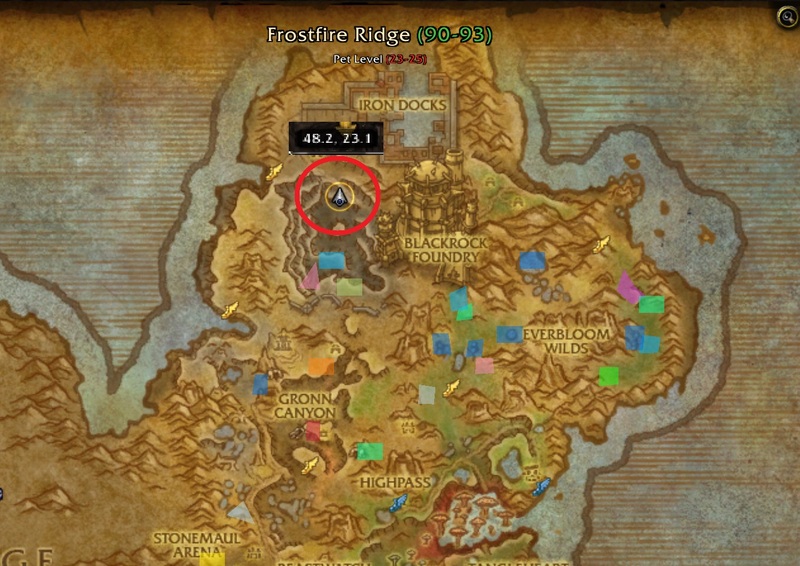 For those waiting for this quest in order to complete the achievement be warned that the quest expires and disappears from your quest log in less than 24 hours. It *finally* came up on my table yesterday but I didn't have time to actually do it so I picked it up to do it today only to find out it's gone. I'm trying to complete the Pathfinder requirements but 'The Pit' and Shattrath Harbour objectives aren't showing up for me? I got the rest just not these ones, any idea what I've done wrong? I would say....do the Pitt as soon as you see it on your table cause it does not come around often. I have been waiting for over a week now to have it show up. I check everyday. It is the only thing that I have left to do so that I can fly. Can anyone tell me...if they know...how often it shows up? Today's table looks like the same as yesterday (yes, I waited the right amount of time). I thought they were suppose to change daily though. It is a bummer sitting and waiting for this one. As of 6.2.3, you can now buy a Scouting Missive for The Pit at your garrison.